Encouraged by the success of a Waimanalo nursery, the state is steaming ahead -- literally -- with plans for a hot-water treatment facility to rid ornamental plants of the pesky coqui frog. The alien frog has become widely established on the Big Island, and government agencies are working vigilantly to curb its spread to the other islands. The latest success came Saturday, when Hawaii's only commercial hot-water treatment facility, at Leilani Nursery in Waimanalo, culled an undisclosed number of coquis from a shipment of house plants from the Big Island. "It works pretty well and it's amazingly simple," said Bill Durston, the nursery's owner. The plants are placed in a 20-foot shipping container and given a light shower with 113-degree water for five minutes, a process that removes the frogs but has little effect on the plants. 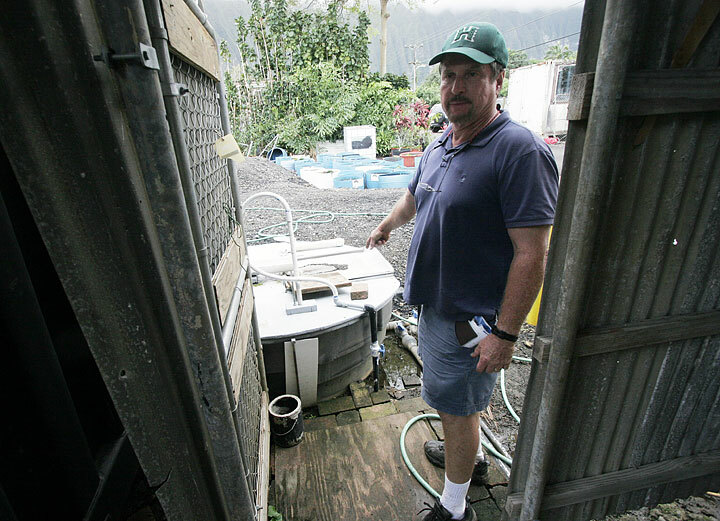 Durston built his own facility, based on a prototype developed by University of Hawaii scientist Arnold Hara, with $22,000 in seed money from the Hawaii Invasive Species Council. It has been in operation about 18 months, he said. Now the state has begun tests on its own $100,000 chamber, just completed in Kalihi, with the goal of treating all plants imported from areas with a high risk of coqui infestation, according to state agriculture officials. "We've pretty much completed construction and we're doing some testing," said Domingo Cravalho, chief of the department's inspection and compliance section. So far, he said, the process has proved "lethal to all stages of frogs, including adults, juveniles, as well as eggs." A longer-range goal is to retrofit a container near the Hilo airport to treat plants before they leave the Big Island, Cravalho said. "We also plan to share our design plans with nursery owners that are interested in setting up their own systems. We're looking at the possibility of supporting their efforts through minigrants or cost sharing, but that has not been finalized yet." 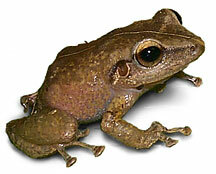 Introduced to the Big Island about 1988, the coqui frog, a native of Puerto Rico, has become a major noise nuisance where populations are dense. With no natural predators here, the hungry amphibians also threaten Hawaii's native insects and spiders. Smaller outbreaks have occurred in recent years on Maui, Kauai and Oahu. When frogs are seen, or more likely heard, and reported to the state hot line, 643-PEST, teams respond by spraying the area with a citric acid solution, which kills the frogs on contact. Big Island nurseries with coqui outbreaks must also spray plants before they are shipped. However, the spray works only if it touches the frog, so some inevitably get through, said Cravalho. During the last two years, about a half-dozen Oahu nurseries have had small coqui outbreaks. "We stopped bringing in things from the Big Island because of this," said Robin Petersen, vice president of Sharon's Plants, another Waimanalo nursery. "Now we're 100 percent coqui-free." Hank Liljedahl, owner of C&L Orchids in Waimanalo, said periodic outbreaks at his nursery forced him to increase the acidity of his citric solution to 16 percent from 8 percent. 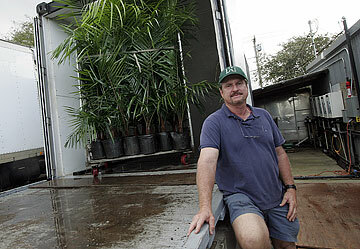 "We lost quite a few plants as a result of that, mostly bromeliads and anthuriums. That was a year and a half ago. From then on, we'd have one or two or three. In the last three months, we haven't heard one, but the cold weather makes them more dormant." Rachel Neville, outreach specialist with the Oahu Invasive Species Committee, said the warm spring weather should bring more reports of coquis. Of continuing concern is a population in the Schofield Barracks East Range near Wahiawa, which was reducing by spraying in the summers of 2005 and 2006, she said. With small populations, the strategy is to track the frogs by sound and simply pluck them from their hiding places. "We are going to do whatever it takes to eradicate the frog from that area," said Neville.